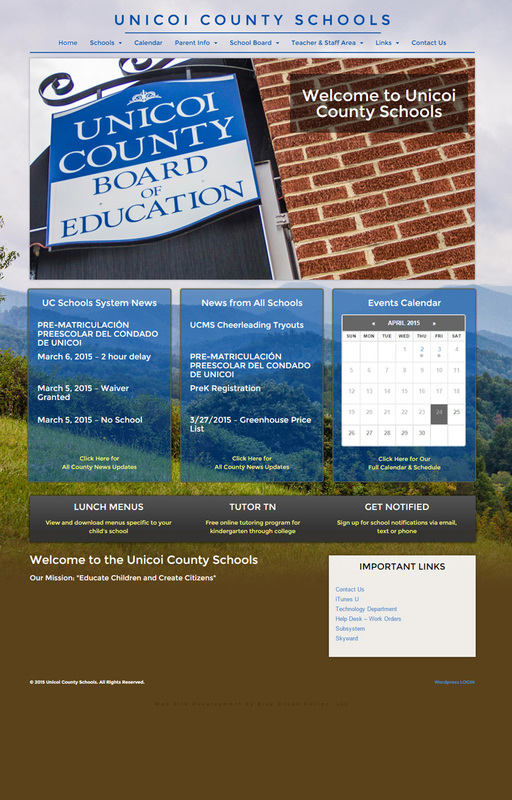 Unicoi County Schools, in (somewhat obviously) Unicoi County Tennessee needed a site they could easily maintain. We built a custom-themed, fully-responsive WordPress site that functions like several independent sites – each school or division has it’s own section that includes specialized calendars, blog posts and events information. All neatly organized and super-easy to maintain from a single point. So, now all the kids have easy access to all their homework and can all piss and moan when there’s NOT a snow day. Sorry, kids. We support education whether you like it or not.